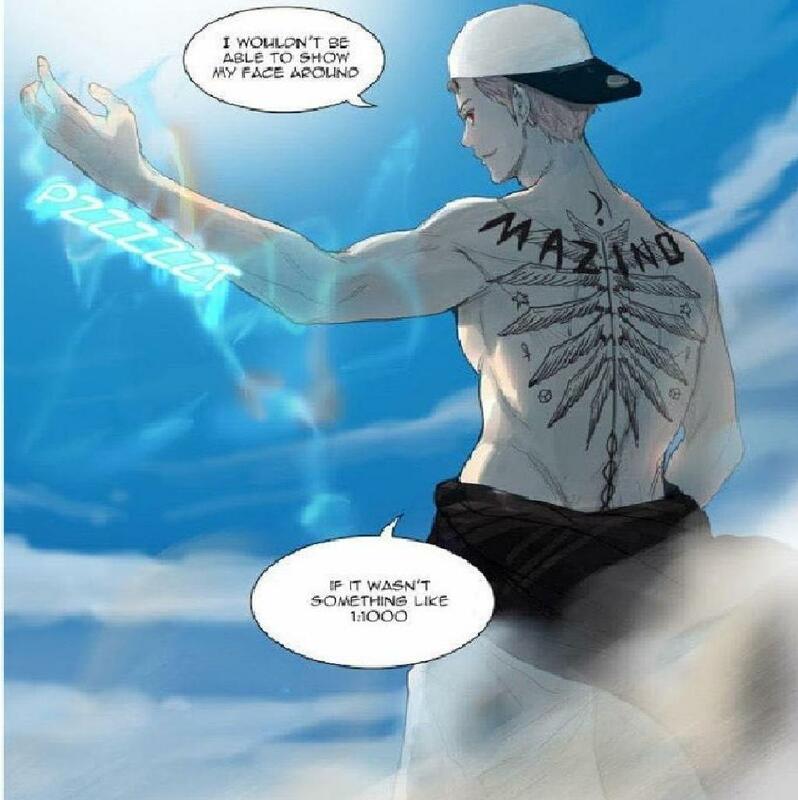 Tower Of God RP forum. Sexuality: He has no idea, Retals lacks the attention span to focus on things like sexual desires. "Lets see who you are." Retals has light blue skin with long dark blue hair, he always seems to carry confused, overwhelmed, or intrigued expression. He has a worn black scarf wrapped around his neck. While proportioned like a human Retals stands at about time and a half the size of a full grown human male. He wears a brown coat and a forest green t-shirt underneath. He also wears long black pants and yellow half-gloves. Only need one goal can have more, but the others need 3 and why. Clarity, either removing or controlling his visions. -Lack of other options- he’s kind of just there because he doesn’t know where else to go or what else to do. -Nature- Because of the simplicity of nature, Retals’s uncontrollable visions feel less intense and confusing when he’s out in the woods. -Using things designed for humans- for example sitting in a human sized chair with a human sized cup of tea in his hands. This makes him feel like a giant and this pleases him. -Nothing- some people find the thought of doing absolutely nothing unbearable, Retals is not one of these people. In fact only things of great importance such as staving off starvation can motivate Retals to stop spacing out and do something. -Making decisions- When he’s asked to make a decision his visions show all the immediate paths he may take a few short seconds -in the future, he gets overwhelmed quickly. -Crowds- too many people, too many things moving about all at once. Because of his visions the chaos of the crowd is magnified, this makes throngs of people nearly unbearable for Retals. -Combat- Retals doesn’t relish fighting in any way, he fights to climb. Nothing more, nothing less. Retals is a man that spends nearly all his time out of focus. It seems like he is constantly befuddled and confused by absolutely everything. Retals has difficulty holding conversations with people because of his “gift” of prophecy. As his gift causes him to view the world occurring around him on two or three different timelines at a time he often interrupts others or responds to questions before they’re formed, because of this he’s soft spoken and shy. Retals has no emotions or opinions towards the tower or the politics of the tower, his only desire is to find a cure for his hereditary curse or for a way to control it. When necessary Retals can focus his mind and separate the visions from the current time line, this however takes great effort and Retals can only sustain it for a few seconds at a time thus Retals spends the large majority of his time in a disengaged and confused state. Retals was born in a village in the outer tower of the 73rd floor, a village known as Ceura home of the Ka’kari. The Ka’kari number less than 100 total but as a race boasts one of the highest percentages of guides within their population, a child born to the Ka’kari has about an 80% chance of being a guide. Naturally this lucrative trait is quite valuable, and so the Ka’kari established a guide agency to cash in on their talents. However at the same time the village elders strictly forbid reproducing without their express consent due to the fact that the more guides there are running around the less they’ll be able to charge for guide services. Retals was born with the consent of the council, but he was not born with Guide talents instead he was born with the potential for prophecy. The elders were elated; while guides were common amongst their race the Ka’kari hadn’t had a living prophet in over one thousand years. Retals was raised with great care and attention. That is until the elders tested his talent on his 12th birthday. Retals’s gift was worthless, the furthest ahead he could see was no more than a minute and the effort of achieving even that left him comatose for weeks. To make matters worse it seemed that his gift could not be controlled or turned off, making Retals a defective product in the eyes of the elders. At 15 the council decided to be rid of this disgrace, Retals was sterilized and exiled from Ceura. The council then banned any Ka’kari to be in contact with him on punishment of death. In the years that followed Retals lived in the forest, doing nothing more than simply surviving and wishing that he could live in clarity rather than tortured by a never-ending torrent of useless visions. 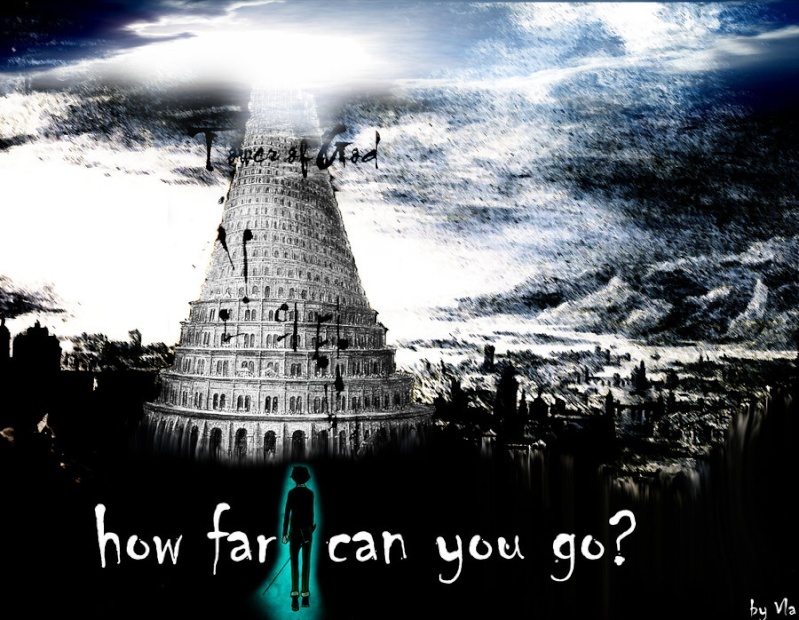 One day his mother found him in the woods, and told him that there may be hope for him yet, “at the top of this tower you may find a way to be rid of your gift, but you must get there with your own power.” Being a guide, his mother led him to the floor of test in secret then left him without a word. Hair color/length: Dark blue, past his shoulders. "Just a few random things."